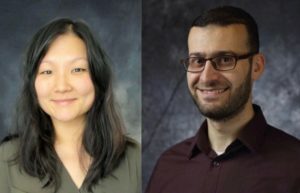 Gloria Kang and Huthaifa Ashqar recently earned doctorates from Virginia Tech in totally different fields, but they have something in common — cross-disciplinary training to solve today’s tough urban challenges. Administered through the Discovery Analytics Center, the program trains students across disciplines in the latest methods in analyzing massive datasets to study key issues concerning urban populations. Click here to read more about Gloria and Huthaifa.